Tightening NASA budgets in a cost-cutting era means that proposed space exploration missions to asteroids or Mars must make tough choices when it comes to risk versus innovation. Many new mission ideas have tried to keep risks down by relying upon heritage technologies that have flown on past missions. But that also means innovative new technology may get squeezed out of smaller NASA mission budgets, such as the next $425 million Discovery-class mission that may target Mars, Saturn's moon Titan, or a comet. It's tough to develop and deploy new technology from scratch without the bigger budgets that allow for exhaustive testing, said Bruce Banerdt, a planetary scientist at the Jet Propulsion Laboratory in Pasadena, Calif. His proposed Discovery mission to Mars combines technologies Frankenstein-style from deceased and failed Mars missions. "Inexpensive missions are low-cost, but are still half a billion a shot; it's not something you throw out casually," Banerdt told InnovationNewsDaily. "Doing tech development is really tough to do under a Discovery budget." NASA managers might consider ways to allow "innovation to creep into costs and schedules" despite the low budgets, said Doug Stetson, a consultant with the Space Science and Exploration Group. He moderated a panel of experts at the International Academy of Astronautics' ninth Low-Cost Planetary Missions Conference held in Laurel, Md. last week. "The planetary program is going to be dominated for the foreseeable future by smaller, competed missions,"Stetson said. "Most of the large flagship missions are over." Even tried-and-true tech from past missions doesn't always mean a cheap, easy solution for new planetary missions. Older technologies may require modifications that add to the costs, said Carlos Liceaga, an engineer at NASA Langley Research Center who oversees mission proposals. "People get into trouble assuming it will be so easy and that you will reap so much benefit from the cost savings," Liceaga said during the panel. "The technical benefits are not hard to believe, but on cost benefits, they tend to give themselves too much credit, and sometimes that's where we disagree with them." 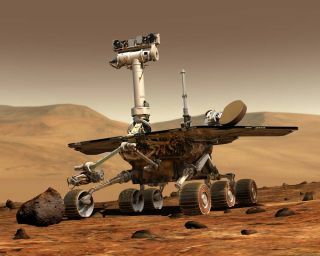 Banerdt also pointed to the case where NASA wanted to reuse the Mars Pathfinder mission's airbag landing system for the Mars rover twins Spirit and Opportunity. The increased mass for the twin rovers' mission caused the landing system to fail during testing, and so engineers scrambled to redesign and re-test the system at the last minute. "The problem with pushing a lot of heritage is that usually you're not doing exactly the same thing that your heritage stuff was doing before, so it's going off into what looks like benign territory but what is nonetheless untested territory," Banerdt said in a phone interview. "That's where a lot of heritage tech blows up in your face." NASA might provide a bigger budget cushion for both reusing heritage tech and new innovations by making the "hard decisions" about funding only a few missions well, said Dave Bearden, principal director for NASA at the Aerospace Corporation and a member of the panel. "What I see is an equal amount of unreasonable pressure being applied to all missions sets, rather than making really hard choices about what the true priorities are and funding at level of consistency and phasing that makes sense," Bearden said. The U.S. space agency might also consider the time spent on mission reviews and evaluate which reviews actually help prepare a low-risk, effective mission, said Andy Dantzler, a program area manager at the Johns Hopkins Applied Physics Laboratory. Similarly, planetary scientists must make tough choices about how much science they can afford in low-cost missions without endangering the mission's overall chances, said Susan Niebur, a consultant and former Discovery program scientist at NASA Headquarters. She also urged scientists to stay aware of how much risk NASA is willing to accept. "We still are not coming back to the days when we accept that one out of three or four missions fail and we can try again," Niebur said. "We in the community have to read the tea leaves at NASA Headquarters about not only what is risk tolerance now, but also in the future."